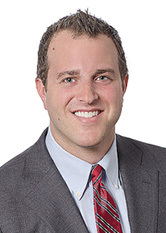 Jeffrey D. Ruskin is an Associate in the Real Estate Practice Group. Mr. Ruskin represents various financial institutions and real estate operators in connection with acquisitions, sales, financing and refinancing of commercial properties. Prior to joining the firm, Mr. Ruskin represented major commercial and investment banks, borrowers, and sponsors in secured financing transactions with real estate collateral, including large multi-state portfolios. Mr. Ruskin is admitted in New York.